A lot of common problems in video editing can be avoided if you make sure you’re using the proper settings each time you create a new project. 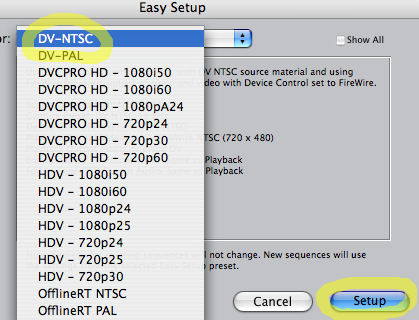 This is especially important to get right if you’re capturing from or recording to tape–typically, there’s only one combination of settings that will work for any given hardware device. Settings to watch for include the size of your image in pixels, the number of frames per second, and the type of codec (a set of instructions the computer follows to draw your video on the screen) used. There are also some more arcane details to keep track of, having to do with how your video will display on an analog TV. Fortunately, modern editing software spares you from memorizing all this stuff; in most cases you can just pick a preset off a list. However, you still have to be vigilant, because the same potential for trouble exists whenever these many variables aren’t all just right. The following advice is for Final Cut, but the principle’s the same for most comparable programs. 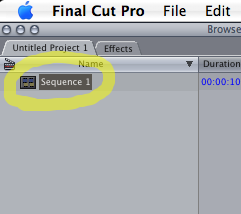 That’s it–all new sequences you create for this project will now conform to the settings you chose. 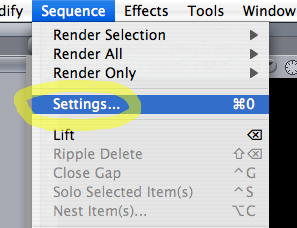 If you’d like to change settings for an existing sequence, you have a few more steps left. Remember, if you’re not sure what settings you need, ask before starting your project! 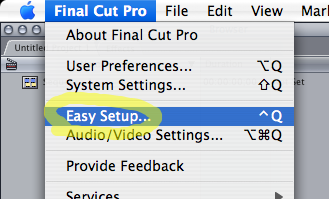 At present, some settings for a Final Cut sequence already in progress can’t be changed. 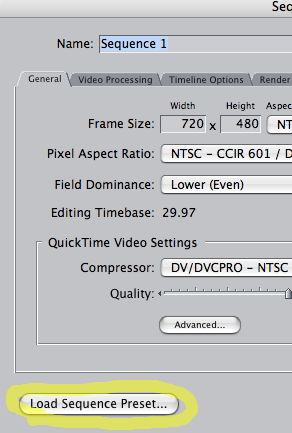 (Timebase, or frame rate, is a particular offender.) 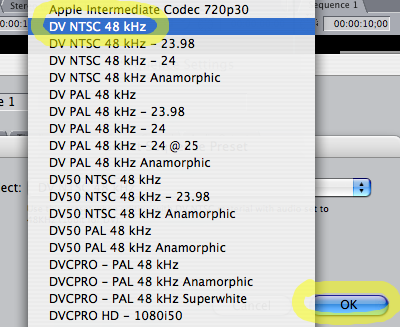 This limitation isn’t shared by other editing programs, and I hope it’ll be fixed in a future version of Final Cut.